Low-key seafood shacks; celebrity-spotting, and late night darts, here’s where the FED Pros recommend you visit at this coastal getaway playground. From low-key seafood shacks to where the air-kissing, rich and famous dine, to afternoon gelato to late night darts, here’s where the FED Pros recommend you visit at this coastal getaway playground. Westhampton Beach | Photo Credit: Find. Eat. Drink. Estia's Little Kitchen | Photo Credits: Find. Eat. Drink. Fish Tacos at Estia's Little Kitchen | Photo Credits: Find. Eat. Drink. A year-round, cozy breakfast and brunch spot with a Mexican twist and produce picked from the chef’s own garden. "This is one of my favorite places to come for breakfast, it’s just a great little place. Chef / owner Colin Ambrose sources everything locally, plus he has a huge garden in his backyard. Everything is house-made, fresh, and really good. Their breakfast burritos are great and I really like the spicy vegetable hash made with eggplant and peppers from his garden, with some corn and potatoes." "They have really healthy good food and the spicy green salsa they put on the table is really delicious." Westhampton Farmers Market | Photo Credit: Find. Eat. Drink. "Stop by the Balsam Farm stand. You can walk up and create a whole meal just by shopping here." The Clam Bar | Photo Credit: Find. Eat. Drink. "This is definitely that classic Long Island experience of lobster rolls, bisque, and whole lobsters. You can sit outside, eat lunch, and enjoy the sunshine." "It’s so unpretentious and just easy. Sit outside, have some really great clams on the half shell, or one of my favorites, the fried clam sandwich." "We always come here for lunch. The steamers are my favorite thing on the menu and the raw oysters are really good as well." Photograph courtesy of Hampton Chutney Co.
"This embodies the casual, hippie vibe that defines Amagansett. You can't go wrong with dosa #6 (Masala Deluxe - spicy Indian potatoes, roasted tomatoes, spinach, & jack cheese) and #9 (Curry Chutney Chicken - roasted onions, & spinach) paired with an iced cardamom coffee. You'll want to get a few peanut butter cookies for later." "Definitely stop in here for one of their lunch sandwiches, either the tuna salad or lobster sale. It's a very nice place." Lobster Roll at The Canal Cafe | Photo Credit: Find. Eat. Drink. "The best lobster roll in the Hamptons." "I'll drive to Hampton Bays for the lobster roll here. Instead of a traditional hot dog bun, they use a toasted ciabatta. 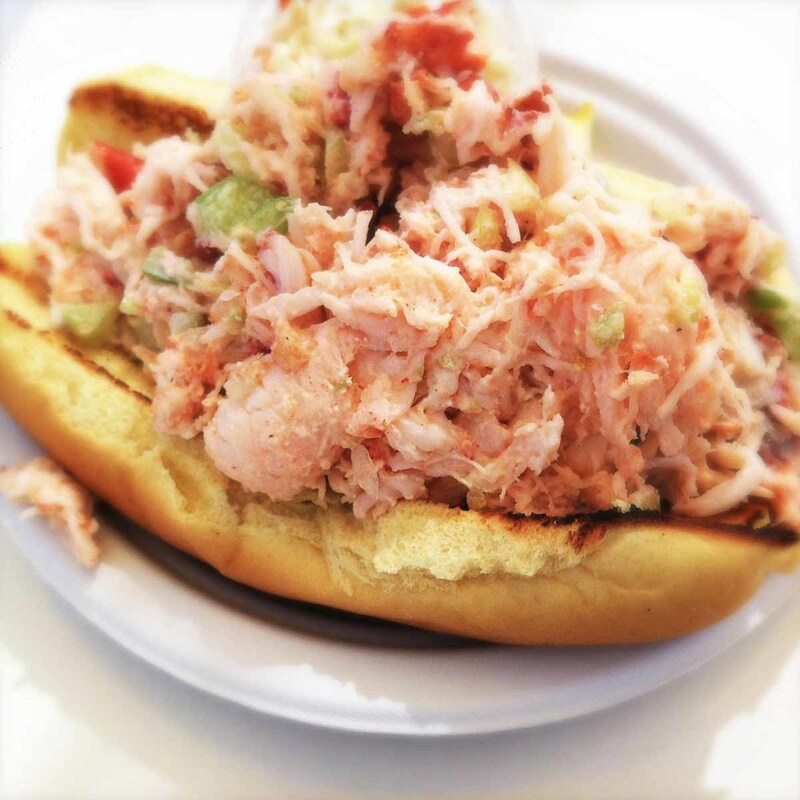 It's the best lobster roll from Southampton to Montauk." "This is a classic place with very good fish because they are a fishing family and have been here for many years. There’s a restaurant, a clam bar, and a market. It’s great to come with kids, you can walk around with an ice cream and have a great time." "Great for wandering around and checking out their food. Not only do they have wonderful fish, but they also have great meat, vegetables, olive oils, vinegars, rice, arborio rice, and things like that. If you really want to have a nice dinner at home rather than going out, come shopping here." Candy Kitchen | Photo Credit: Find. Eat. Drink. A quaint old school diner in the heart of the Hamptons. "This is a beautiful place. I like to stop in for a quick bite at lunch. It’s a typical old school, simple diner. You can get a Greek salad with chicken or it's also great for grilled cheese and a bowl of soup." The Hampton sibling to the Manhattan restaurant and cafe with a take-away bakery and coffee bar. "They make a great cappuccino and they have some great desserts as well. I just love their tiramisu." "I'm a big fan of ice cream and I love the gelato at Sant Ambroeus." Pie from Tate's Bake Shop | Photo Credit: Find. Eat. Drink. Bakery cases filled with fresh-baked scones, brownies, fruit pies and their signature chocolate chip cookies. "I’m a big fan of Kathleen’s bakery. She has, by far, the best pastries around. We often buy a cake called the Marie Antoinette. She also has a great chocolate cake and makes the best croissants. They are nice and fluffy on the inside and crisp on the outside, not too sweet." "The chocolate chip cookies are just phenomenal; they remind me of my mother's. They’re full of butter and super crispy." Cavaniola's Gourmet | Photo Credit: Find. Eat. Drink. "I love Cavaniola's Gourmet for specialty food items." "They have a great selection of cheeses from all over the world and they always have some of my favorite cheeses like Roquefort or Comte." "Everybody shops here, because that is where you go. They also carry local products, which is nice." "I really like their rosé. It’s made from a blend of merlot, chardonnay, cabernet sauvignon, and cabernet franc. Great with seafood and soft cheeses. This is a local, thirst-quenching rosé." "They have a wonderful lawn out back to hang out on before dinner." The American Hotel Bar | Photo Credit: Find. Eat. Drink. "The bar at The American Hotel is an institution. It’s old school and very American in style. I like to come here and drink a really good whiskey sour." "The perfect watering hole. Friendly bartenders always make your favorite drink." Simple authentic Italian cuisine and outdoor dining. "It’s a cute little place serving Italian food. It’s warm inside and laid back with a large communal table in the middle of the dining room." Restaurateur James Mallios recently opened Calissa, a new Greek restaurant in Water Mill. The inspiration comes from James' summers spent in Mykonos. This is James' third restaurant since he has opened Amali and Amali Mou in Manhattan. The Dock | Photo Credit: Find. Eat. Drink. "It is one of the last truly local spots. The vibe is a good blend of fishermen coming right off the boats, locals who like to dine here, and new city people who realize that is really the best spot around to have a casual meal and some good fresh fish. It is very simple tavern food that is always excellent, fresh, and consistent. They make clam chowder with actual clams and you can get a fish sandwich and know the fish came right off the boats." "It is a local’s paradise. All the people from Gosman’s are here, they are slinging fish all day and then coming here afterwards to drink a beer. It is pretty cool." "This is a great bar. It is very civilized with really good seafood. I love the mussels. Sit at the bar and grab a couple of beers. It’s a real local hangout away from all the crowds. They have a list of rules that specify no phones and if you have children, make sure they are under control." "It is this awesome place that is located at the dock, right next to Gosman’s Fish Market. It is one of those places that over time has acquired its own unique voice that could never be replicated. They should never change anything they do there. I love what it says about Montauk." "It is on the dock and it's called The Dock. It might be confusing, but it's terrific. The food is simple, fresh, and tastes great. They have awesome specials that they write on a piece of yellow legal pad paper and pass it around from table to table. When things are done, they just cross them off with a Sharpie. The wild prawns and fresh day boat scallops are terrific." "A welcome addition to the neighborhood, Wölffer Kitchen is great for a variety of diets and preferences. Vegans have plenty to pick from (zoodles, shishitos, black curried lentils) while the seafood and salad options make it easy to eat light and healthy." They use house-made mozzarella and ricotta, house-infused oils, and local, seasonal ingredients for their nearly twenty pizzas. "I love this place for its spot-on Neapolitan style pizzas. They're located in the back of the Haagen-Dazs store on Main Street, but that's really all you need and a 900 degree imported pizza oven. Get the Vongole with local clams, the Spezie, the Sopressata, or the Margarita." Rustic Italian cuisine and a full roster of celebrities with their own regular tables. "This is a classic establishment and a definite must for residents or visitors looking to enjoy traditional Italian cuisine in The Hamptons. Their friendly, welcoming environment and Tuscan decor are the cherry on top to their unbeatable Italian food. I love to go for the zucchini chips appetizer, wood fire chicken entree, and the key lime fried mini doughnuts for dessert." A neighborhood watering in one of the last local taverns on the East End of Long Island with darts, pirate ring toss and a jukebox. "It’s a locals' pub with tons of people having a good time. I like to stop in for a beer." Locally-made sipping rum, hand-crafted and aged in bourbon barrels. It's inspired by the Sag Harbor's history of old whaling ships that stored the rum in barrels that had previously been used for coffee, exotic spices and fruit. Handmade in small batches using fresh cream from the Hudson Valley, North Fork sea salt and organic stone ground Taza chocolate. Family-run by East End natives. Ocean-to-jar sea salt handcrafted in Amagansett. It's made outdoors, not in a greenhouse, and chemical-free. MUSIC | Rolling Stone Magazine's best summer songs of all time. SURFING | Leif Engstrom surfing in Montauk. RAIL | LIRR -- book a train ticket. BUS| Take the Hampton Jitney, the Luxury Liner, or the Hampton Ambassador. 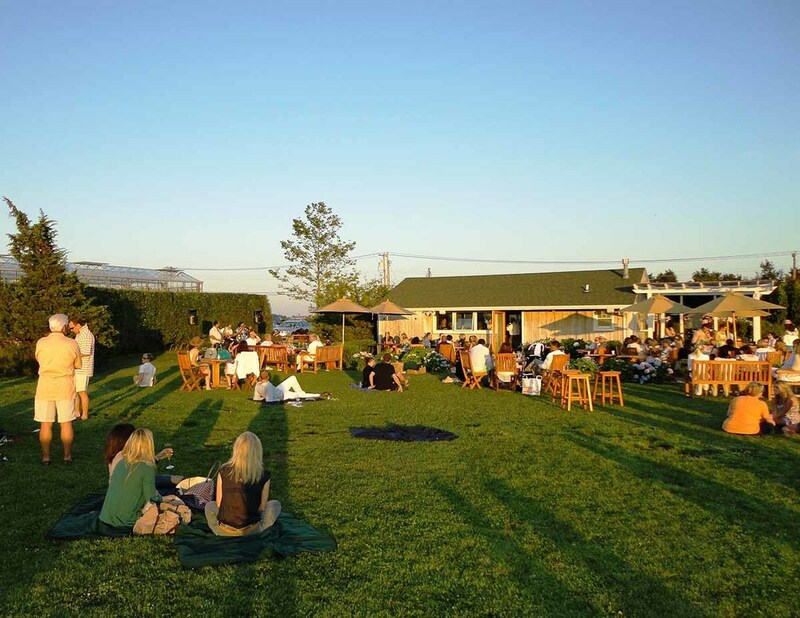 MUSEUMS | Hamptons Art Hub list of museums and art destinations. LIGHT HOUSE | The Montauk Light House. Executive chef and owner of New York’s Landmarc, Kingside and Ditch Plains, which is named for the famous Montauk surfing location. 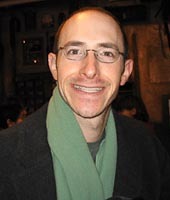 He is also a judge on the Food Network television show Chopped. He spends his weekends in Bridgehampton. 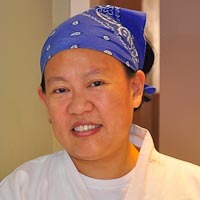 Executive chef and owner of annisa in New York’s West Village. For over a decade, she has lived in East Moriches, where she likes to spend time fishing in Moriches bay. Executive chef of Honest Man Restaurant Group, which includes Nick & Toni's, Rowdy Hall, La Fondita, and Townline BBQ. He came to East Hampton for a summer visit twenty years ago and never left. Executive chef and owner of the Stone Creek Inn in Quogue. Originally from château country in Toulouse, France, where he trained before coming to New York to work at Tavern on the Green. He summered in the Hamptons and in 1996, became a full-time resident when he opened his restaurant in Quogue. Executive chef of the Living Room at the Maidstone Inn in East Hampton, New York. 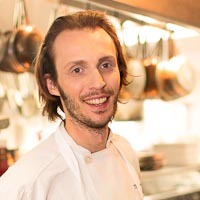 Originally from Stockholm, he worked at the Maidstone’s sister restaurant in Sweden before moving to the Hamptons where he resides in Bridgehampton. Executive chef of the Surf Lodge in Montauk and Flinders Lane in New York City. Originally from Australia, he trained in some of Australia’s top kitchens in Melbourne and Sydney. He now takes up summer residence on the East End to cook and occasionally surf. Baker and owner of Tate’s Bake Shop, known nationwide for their crispy thin chocolate chip cookies. She earned the prestigious Gold Sofi Award for Best Cookie and has authored several cookbooks. She is a Hamptons’ native, having grown up in Southampton on her parents’ farm in North Sea. She currently resides in Water mill. Owner of the wine shop Appellation in New York. Served as the assistant Cellar Master for restaurants Balthazar and Pastis. Kylie Monagan recently helped restaurateur James Mallios open Calissa, a new Greek restaurant in Water Mill. The inspiration comes from James' summers spent in Mykonos. This is James' third restaurant since he has opened Amali and Amali Mou in Manhattan. Before opening Calissa with James, Kylie was responsible for the operations of Amali and Amali Mou.